The power drill is a mainstay of just about every collection of power tools. 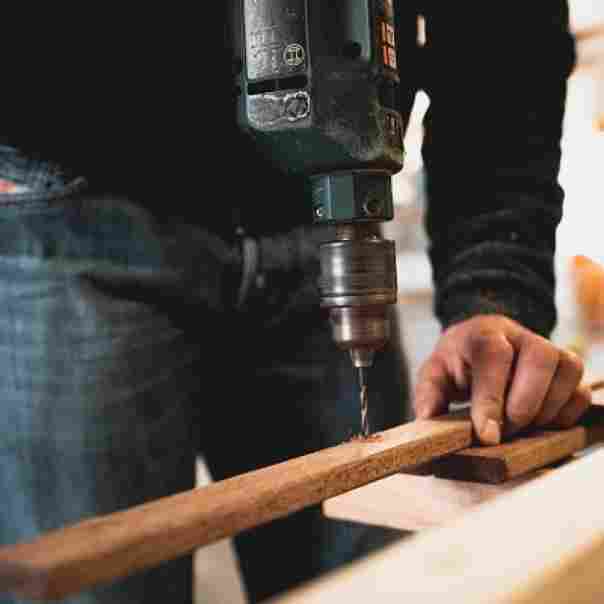 Whether you’re talking about a rudimentary set of tools that are barely ever touched or the expansive collection of a professional carpenter, you can always find a power drill. That’s because the power drill is one of the most versatile of tools, pretty much standard for dealing with screws and drilling holes. But there are times when a power drill just doesn’t deliver quite enough strength to work for what you need it for. That’s why, when many growing tool aficionados are expanding their collection, they often move up from power drill to impact driver. Here’s an in-depth look at how to use an impact driver. An impact driver is a form of drill that is used on jobs that need stronger or deeper penetration than a traditional drill. It works with more torque and adds concussive force, driving into the substance with much more force. 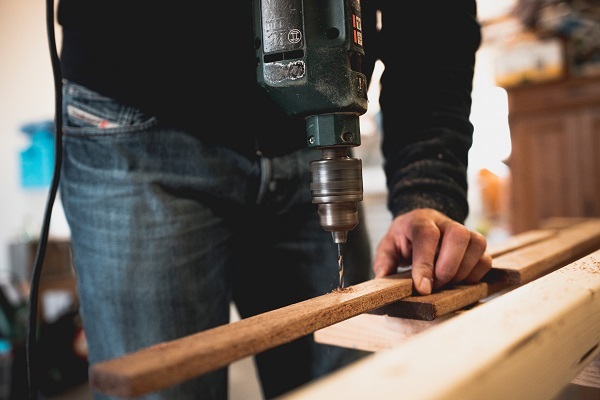 The impact driver is the preferred tool when screwing down plywood, building sturdy structures, and anything else that requires driving a long screw or a long bolt. Because of the strength of the tool itself, a great deal of the physical stress of the action on your wrist will be mitigated, making impact drivers actually easier on the body to use than most power drills. Impact drivers are also much louder than a power drill, something which will often surprise people who haven’t used it before and can sometimes make ear protection a good idea. 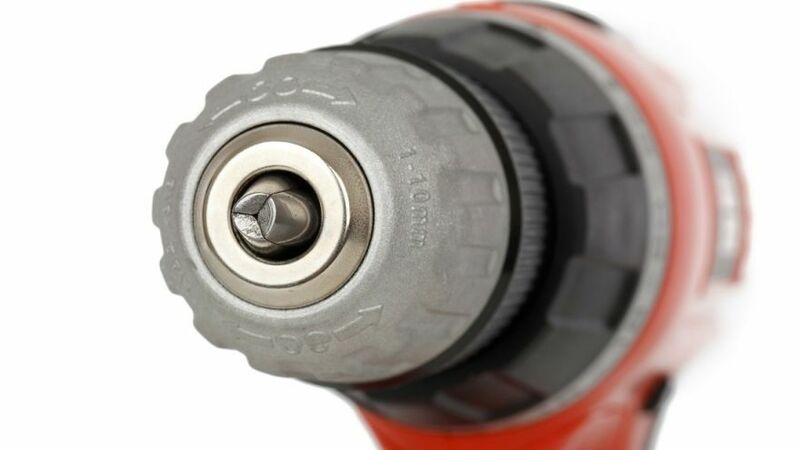 Unlike a power drill, which has a universal chuck that can accept a large number of different bits and drills, an impact driver only has the one type of bit that it can accept in its collet, a quarter inch hex shank driver bit. The trade-off you make for getting more force is less variety of use. For instance, an impact driver can only be used for screws and bolts; despite its force, you can’t drill a hole with one. An impact driver looks a whole lot like a power drill, and in some ways, they do work similarly. The impact driver applies a torque the same way that a drill does. The impact driver majorly departs from a traditional drill is in sheer power. An impact driver is able to deliver a good deal more force into the drilling process than a normal power drill. A normal drill only applies rotational force; the screw is spun around, and the only thing that actually pushes the screw into the substance that is being screwed into is the grooves on the screw itself. The screw is essentially pulled in by the action of rotational force on those grooves. An impact driver, on the other hand, doesn’t only rely on that rotation. There are two sleeves with an impact driver; an outside one, and an inside one. The outer sleeve is the one turned by the mechanism, which in turn turns the inner one. The amount of torque generated by this set-up is much larger than that of a normal drill. While this is happening, a concussive force is delivered to the outer sleeve, creating a concussive force that drives downward on whatever is being screwed. This mechanism is what makes impact drivers so effective. Now that you have some understanding of what impact drivers are and how they work, let’s take a look at how to use an impact driver in practice. As previously discussed, inserting bits isn’t quite as simple with an impact driver as a drill. A drill can pretty much take any bit and clamp onto it, but impact drivers only accept a particular type of bit. You will need to have a quarter in hex shank driver bit for this to work; they are easy enough to find at any hardware store. Once you have the proper bit, you can insert it into the collet of the impact driver. Pull back on the collet to allow the bit in, drop the bit into the collet, and let it go. When the collet snaps back, the bit should be locked in place. Just like many drills, an impact driver will have a variable speed trigger. That means that you can control the level of intensity that you’re drilling something by how hard you push down on the trigger of the driver. Push it down all the way, and the driver will spin as hard as it can, but press it down lightly, and the driver’s mechanism will turn very slowly, though no less inexorably. 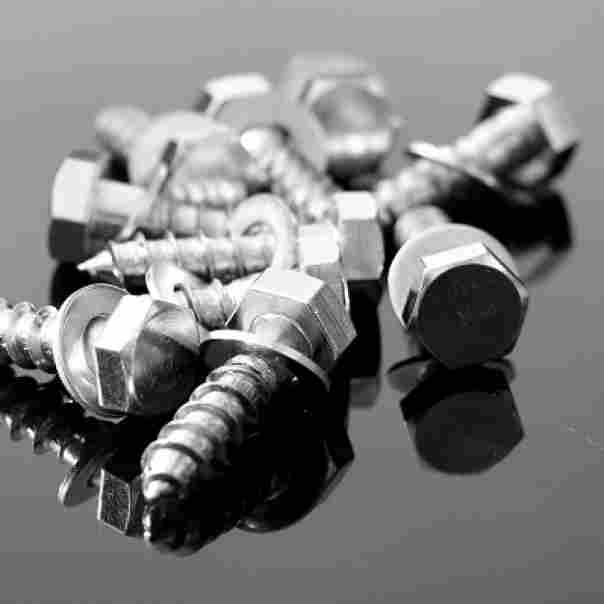 The different speeds are useful; it’s best to start out slow when driving a screw into place, to make sure that it’s set properly and straight, then ramp the speed up once the screw is definitely properly set. Once you’re at the tail end, and the screw is almost fully driven into the material, you can slow down again and ensure that it is set into place right. Trying to go too fast and hard with the variable speed also stands a chance of sometimes stripping a screw, and making it useless. When you’re using some drivers, as well as some drills, you have the option of setting the gear that the tool is in. If you’ve ever ridden a multiple speed bike, or driven a manual car, you should have a decent idea of how these gears work. If not, lower gears have more power, but higher gears have more speed. This means that, at a low gear, you can drive at a slow but extremely strong pace, whereas at a high gear, the driver will spin very quickly, but with less ability to drive powerfully. There’s no right choice; the gear that you set your driver at during a job will depend on what the particular needs of that job are. The clutch is an optional setting on many drivers. 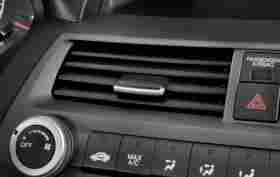 Although the connection to manual cars might have misled you, this actually has no connection to the gear setting. Instead, this establishes a maximum depth for the screw you are driving in. Especially if you aren’t used to the intense torque delivered by an impact driver, it might be a good idea to set the clutch, to make sure you aren’t consistently overdriving. On the other hand, if you are comfortable with your capabilities with the impact driver, the clutch can get in the way, and isn’t really necessary. 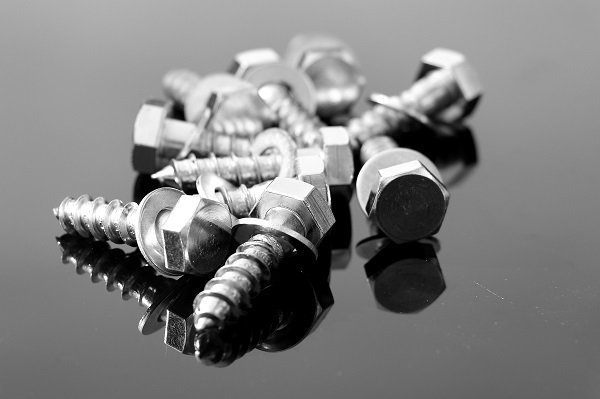 If you have a large job, and the screws are all set in the same length, then the clutch can be a big time saver; if not, you can generally just be careful when you’re getting close to finished with each individual screw or bolt. Generally, you’re going to be holding the impact driver just like you would a drill, for a particular job. Make sure you have a firm grip on the tool. Set up the screw in a pre-drilled spot, where you want to drive it into the wood or other material. Start up slow, then ramp up the speed, before slowing down again when you are close to putting the screw entirely into the material. Unlike with a drill, you don’t really have to worry about the driver slipping and losing the screw; the driver bit will stay with the screw the whole way. It’s also a method of driving screws that doesn’t have a risk of stripping the screws and making them unusable. Not only will a driver avoid stripping screws, it can actually be used to deal with any screws that have been stripped. Because of the downward force emitted, the driver has a much easier time “grabbing” hold of the screws, allowing you to use a driver to remove stripped screws that have been drilled into the given material. Ultimately, the tools that you use are conditional, and the more variety of tools, the more specific value that you can get out of their usage. It is certainly possible to use the same power drill to make holes in a piece of wood, and then screw in the screws that need to go into those holes. It’s much more efficient to use the best tool for each part of the job, though; you’ll have a much faster and less difficult if you use the drill to make the holes, and the impact driver to fill them. Impact drivers are often battery powered, but are also sometimes corded, just like power drills. The increase in power doesn’t come from the fuel, but from the actual internal mechanism. As you take on more and more carpentry projects, and find your tool collection steadily growing, you’ll definitely want to pick yourself up an impact driver, and when you do, you’ll want to know how to use it properly.